There are few things more important to 29-year-old Yan Muon than voting. Muon is one of an estimated 1.5 million migrant workers living and working outside Cambodia who must return to the Kingdom to register to vote in next year’s crucial national election. Yet with two weeks left in the registration period, nearly three-quarters of the eligible voters that the National Election Commission was hoping to register have yet to sign up, according to numbers released by the body yesterday. In interviews with five migrant workers over the past two weeks, none said they were able to return to Cambodia to register. Many said the biggest challenge is getting time off work. Others said they could not afford the trip. Some cited political apathy. Chem Phany, a 24-year-old Cambodian working at a factory in Thailand that produces windows and doors, said he wants to vote, but needs at least one week to travel to his hometown in Takeo province. So Phany, a garment worker who has been living in Malaysia for 10 years, said her employer also refused to give her time off. “I wish the government can offer another option, perhaps for us to organise a voting pool at the embassy, so I don’t need to take much time to vote and I can choose a leader for my country,” she said. Others, like Sim Sarunn, a 26-year-old migrant working at a fruit-processing factory in Japan, were discouraged by the imminent dissolution of the opposition CNRP. For local election monitor Comfrel, this is the outcome they feared. “This is a real difficulty, a real challenge,” said Yoeurng Sotheara, Comfrel’s legal and monitoring officer. 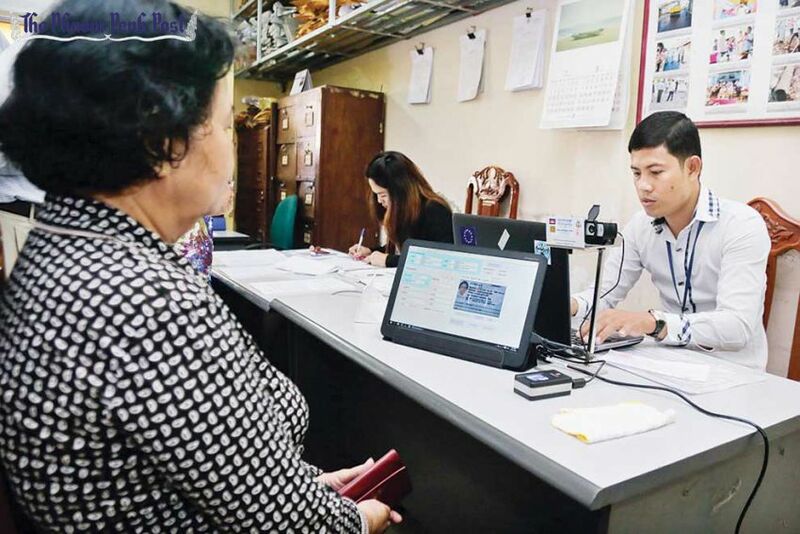 According to Sotheara, the Ministry of Interior complicated matters by issuing a prakas in August – after the commune elections – requiring Cambodians who are not permanent residents of their current commune to get a proof of residency letter from their hometown commune chief. Those “very, very complicated” changes made it harder not only for international migrant workers but also for domestic migrants, such as garment workers in Phnom Penh or hotel workers in Sihanoukville, to register, Sotheara said. Hang Puthea, spokesman for the NEC, acknowledged the challenges that migrant workers face, but claimed that fixes were outside the scope of the NEC. With the November 9 registration deadline quickly approaching, just over 441,000 people have registered to vote out of an eligible 1.6 million. The more than 1.1 million unregistered voters account for roughly 11 percent of the total Cambodian electorate, which stands at 9.8 million, according to NEC figures yesterday. Opposition leaders have lobbied several times for improved access to voter registration for migrant workers, citing concerns about disenfranchisement. In August, CNRP parliamentarians proposed placing temporary registration stations along the Thai border and in embassies and consulates of other destination countries. The proposal was quashed by CPP lawmakers who cited technical and financial restraints. Opposition supporters decried the inaction as a political strategy to suppress votes for the CNRP, a complaint that was raised again after the Ministry of Interior issued its August prakas. Analysts have suggested the CNRP is more likely to get votes from migrant workers, many of whom move abroad to seek out higher-paying jobs and therewfore may be disgruntled with the government. Puthea denied that the NEC had a political strategy to stifle any votes for the opposition. Instead, he said, the NEC is increasing efforts to recruit registrants in the final stretch of the registration period, including organising information sessions in universities and asking the European Union for money to rent motorcycles and loudspeakers to disseminate information in the provinces.